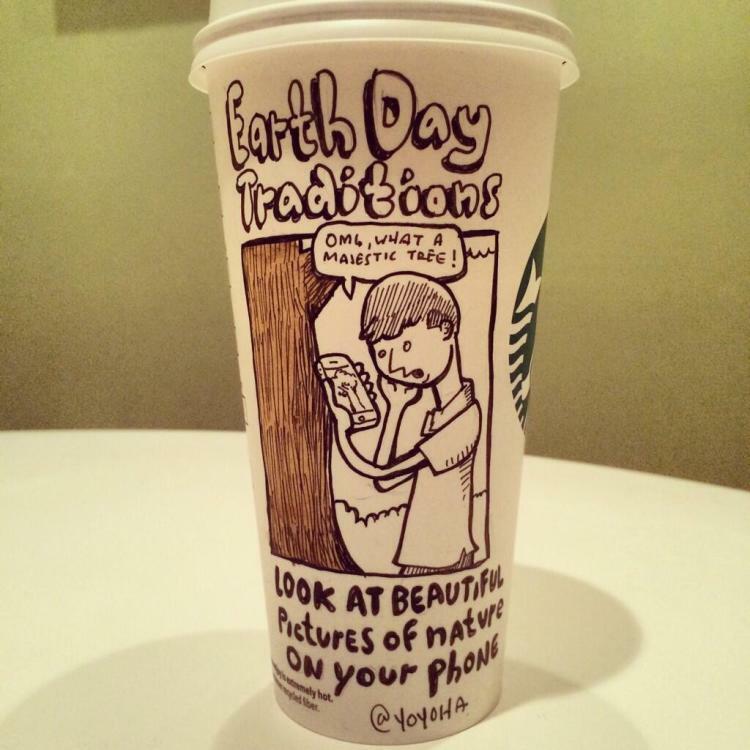 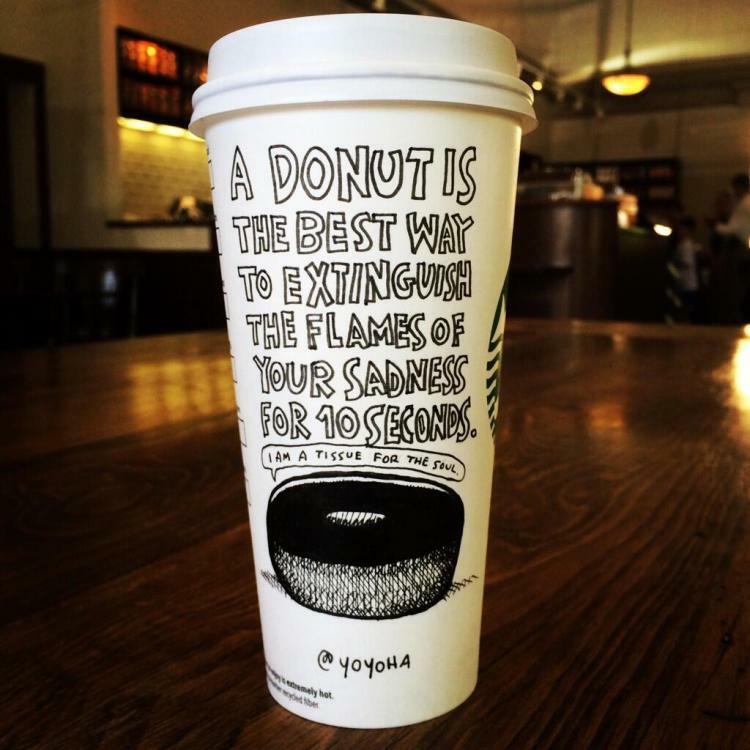 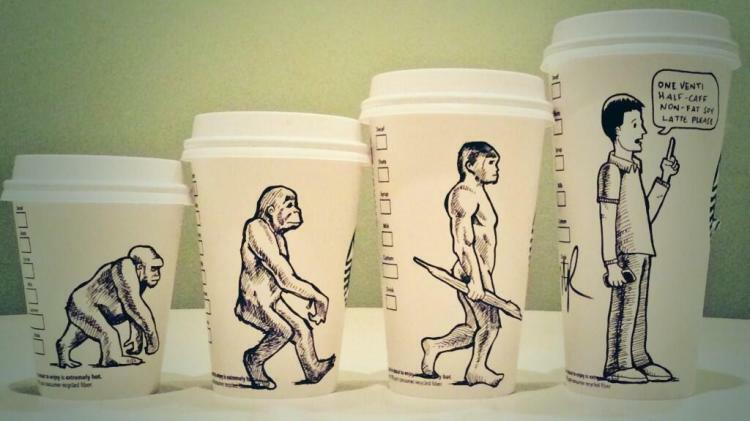 Cartoonist Josh Hara (yoyoha) uses paper coffee cups as canvases for his hilarious cartoons about coffee, the human condition, and National Doughnut Day. 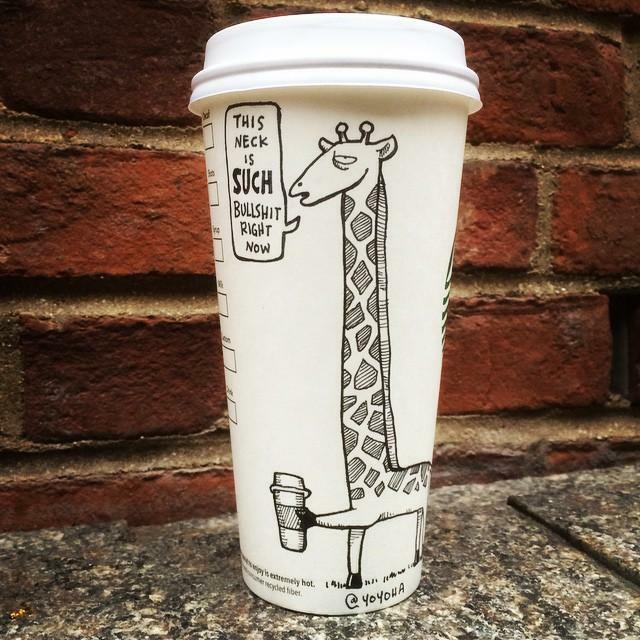 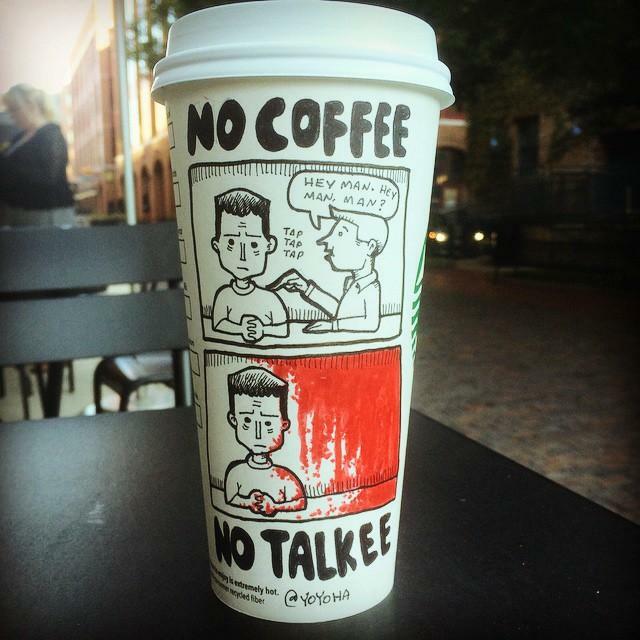 The cartoons are part of his ongoing project #100coffeecups. 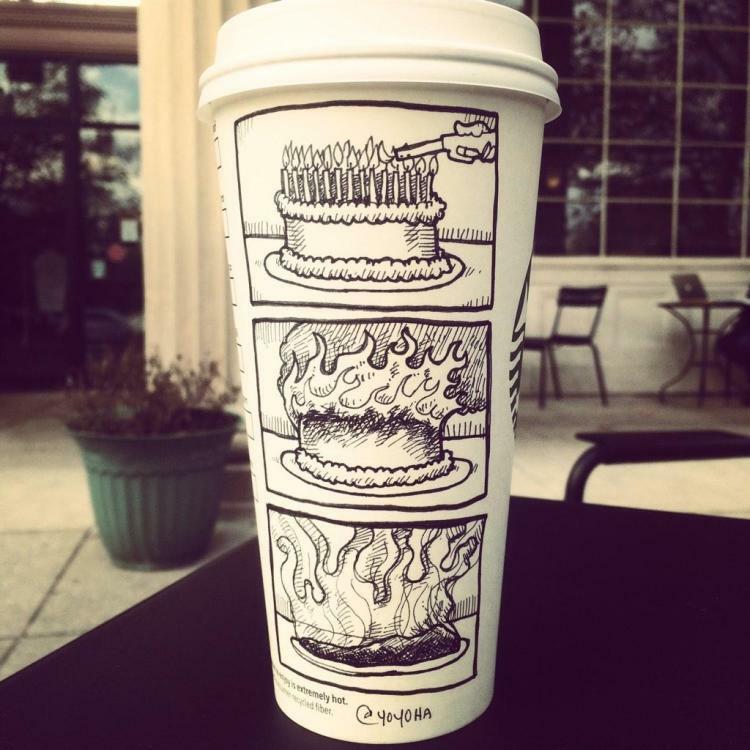 He posts the cartoons to his Twitter and Instagram accounts.